High in the Western Ghats, Matheran offers visitors relief from the oppressive temperatures at lower elevations. Situated on a plateau, the hill station has plenty of forested areas around it, and points where it opens out to reveal panoramic views of the hills and valleys. 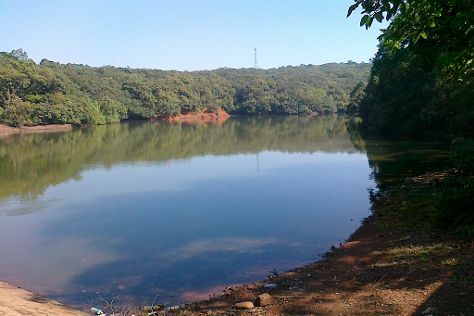 The town's ban on motor vehicles makes Matheran vacations particularly relaxing, despite the large number of visitors the hill station receives throughout the year. Matheran is in Raigad District. Use our India online travel route builder to plan your trip to Matheran and other destinations in India. The accommodations in Matheran lie along the main road that snakes its way north-south through town. Here, a number of upmarket hotels and sprawling resorts line the main drag and side streets, with an emphasis on views, outdoor pools, and onsite restaurants. Meanwhile, boutique resorts place the focus on health facilities, such as yoga and meditation classes. Some smaller hotels provide comfortable, budget-friendly rooms, and many shoestring travelers opt for one of the numerous homestays located across the hill station.